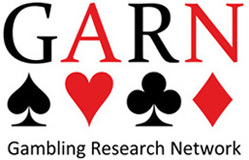 The Swedish Gambling Research Network (GARN) met in Stockholm on 3-4 of May. This was the eighth meeting since GARN was founded in 2013. About 20 gambling researchers attended. Maria Wennerberg-Sedigh and Johan Röhr from the Gambling Authority were invited. They presented the proposals of the recent governmental inquiry into gambling re-regulation. Plenty of time was set apart for questions and discussions, and we gained good insight into the complexities of the inquiry’s proposal. A new research program was presented by researchers from SoRAD at the University of Stockholm. The ambitious Regaps program – Responding to and reducing problem gambling studies – is planned to run for six years. It is financed by the research council Forte. The program will cover a variety of topics relating to gambling and problem gambling: policy, treatment and screening, just to mention a few. 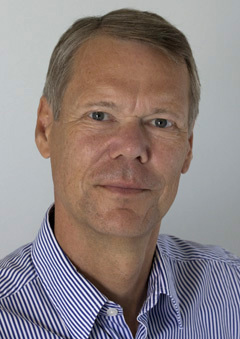 Invited guest Tom Kettunen gave a comprehensive overview over gambling research in Finland. The Public Health Authority presented new and interesting longitudinal analyses from the Swelogs population study as well as plans for knowledge dissemination. Biological research using rodents, with the aim of developing behavioral profiling of problem gambling, was presented by researchers from Karolinska Institutet and Uppsala University. Exciting results from analyses of an online screening at the National Helpline for problem gamblers was presented by Håkan Wall from Karolinska Institutet (for example, online casino gambling was by far the most problematic form of gambling). A study on evaluating preventive efforts at workplaces was presented. A similar topic was covered by Ulla Romild and me: risk of gambling in occupational groups (in Swedish). Plenty of gambling research is going on in Sweden right now. And it will hopefully be even more in the near future, because of the need to evaluate the effects of the coming re-regulation of the gambling market. Some of the presentations are available here (mostly in Swedish). Next GARN meeting will be held in May, 2018, in Stockholm.